This was the weekend of the great Lakeland floods and my first challenge of the day was to get from my bed for the night to dry land. A freezing knee deep paddle certainly woke me up. 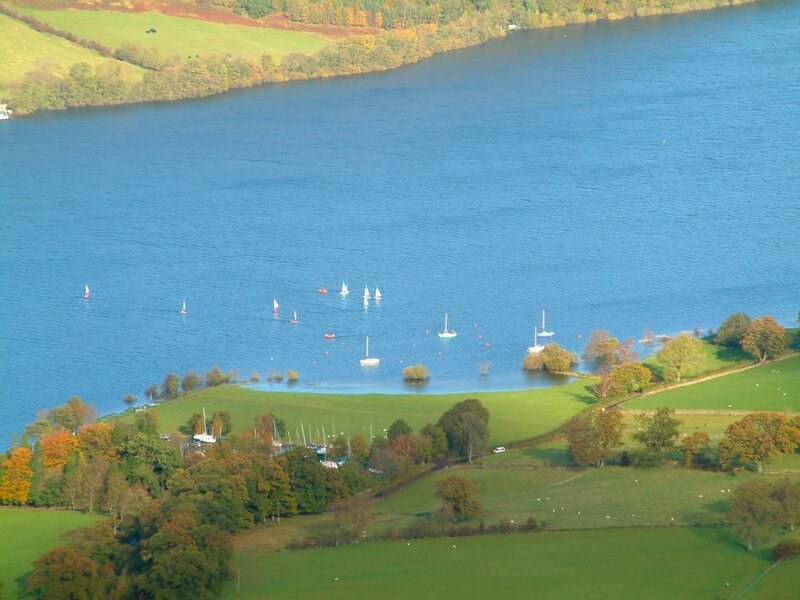 The drive round Ullswater was very interesting with the road becoming a lake in several places. I had intended parking in Howtown but finally came to a flood that I was not brave enough to try. 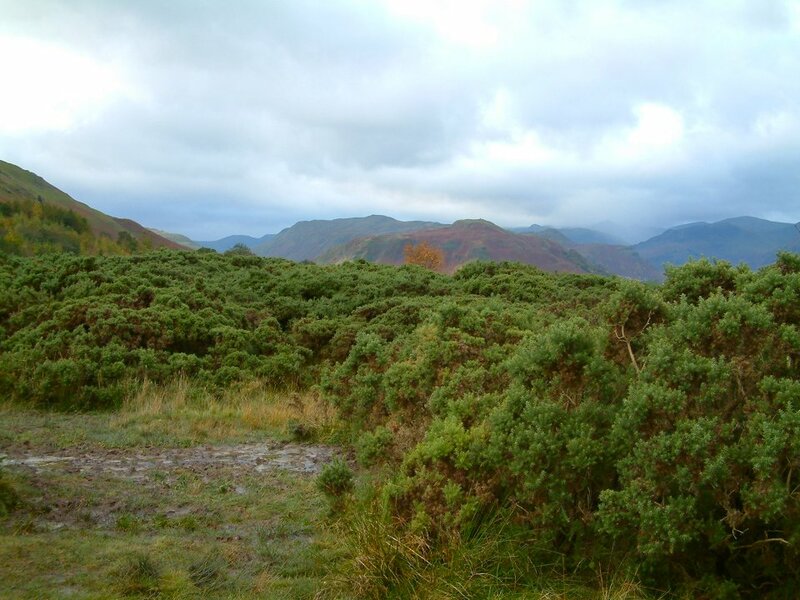 Luckily there was a path from the road to Howtown but I decide just to head straight up the fell to gain the ridge. 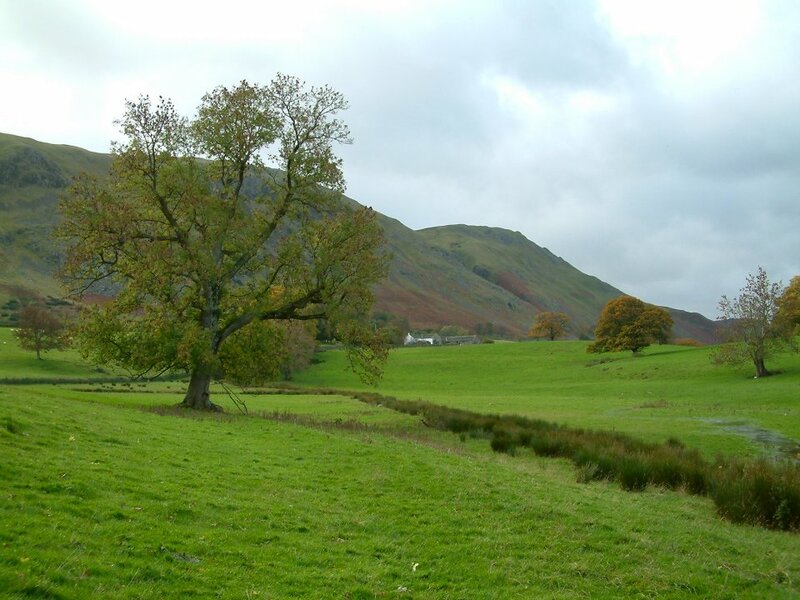 My route passed behind the white house and up Loup Knott. 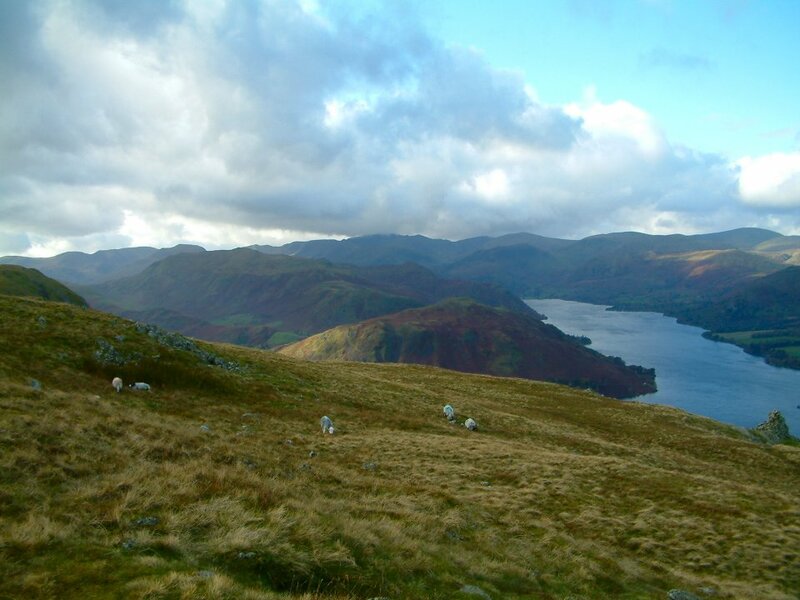 looking southwards to the high fells from the aptly named Sharrow Mire. It really was bad. 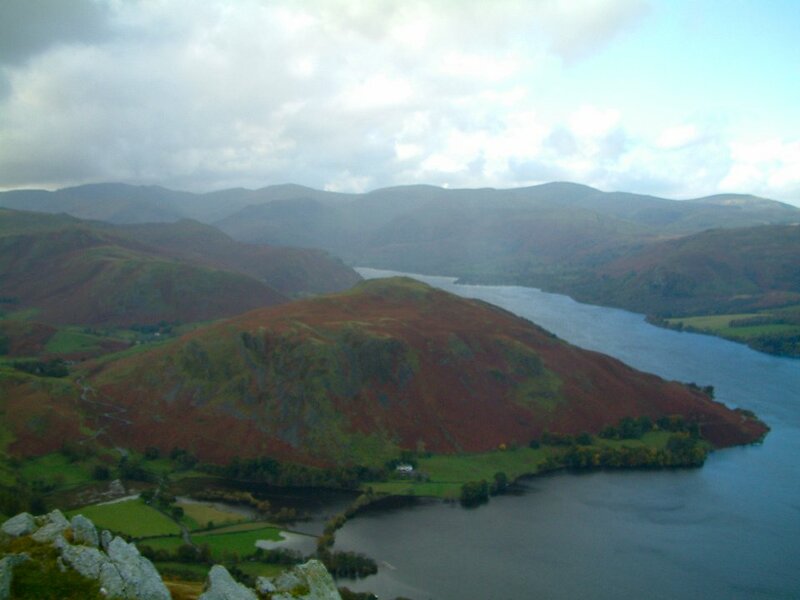 Ullswater from the steep climb up Loup Knott. I didn't like the look of the weather coming my from the top left. 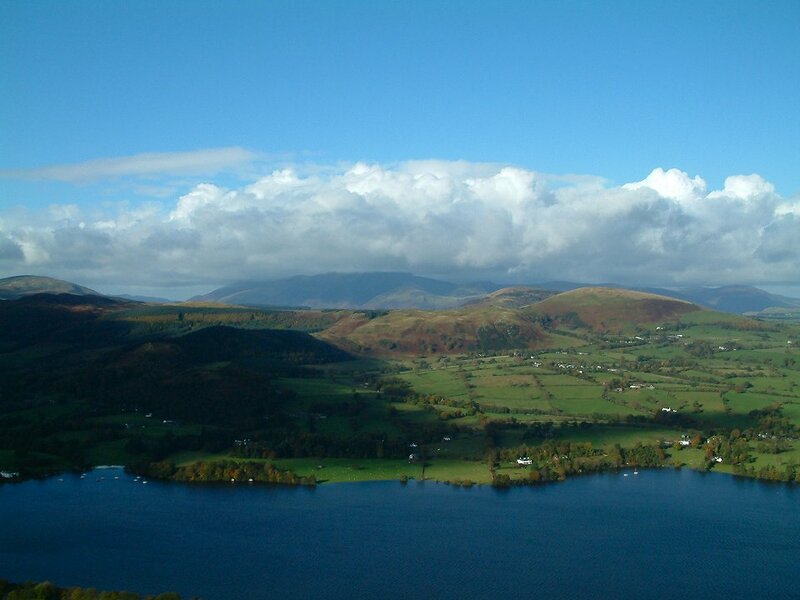 Looking across Ullswater to the Northern fells behind the Mell Fells. Zooming in on the Yacht club. The trees are supposed to be on the bank. On the ridge now with the weather changing by the minute. 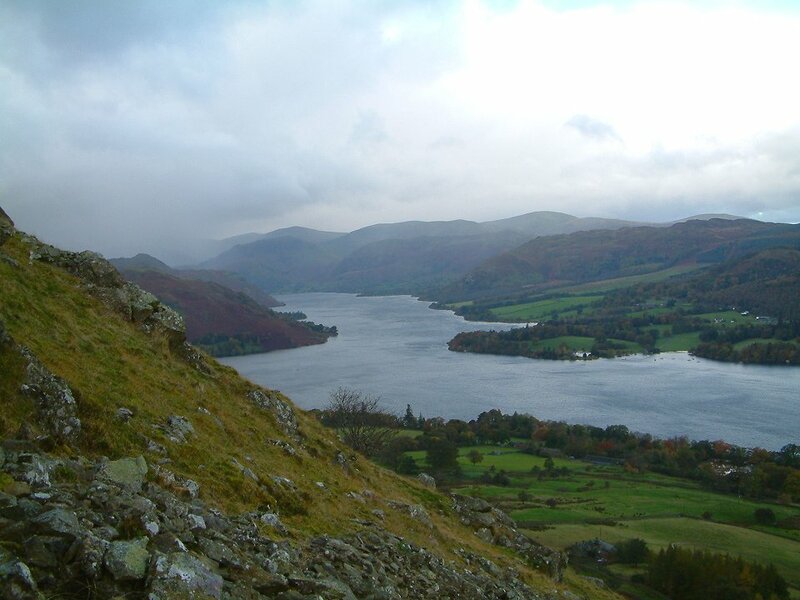 Hallin fell snatched in a rain storm. 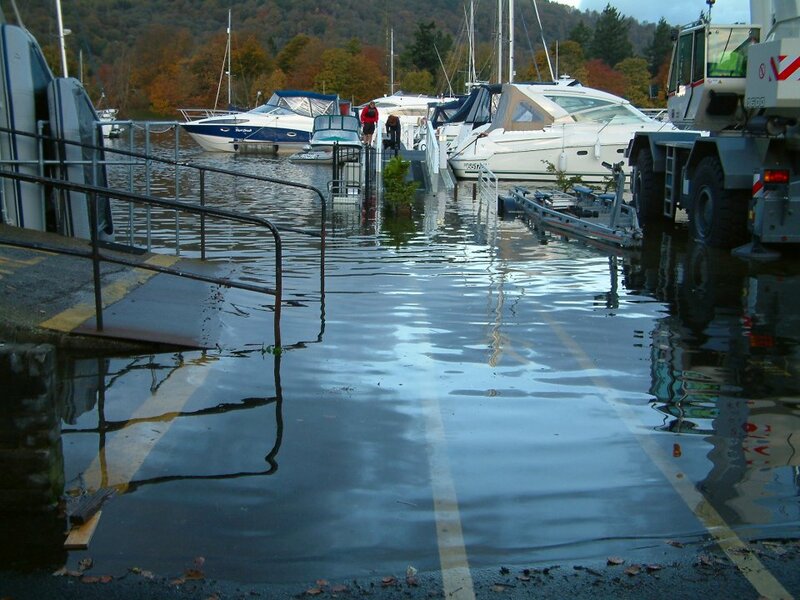 There is quite extensive flooding where the landing stage is supposed to be. 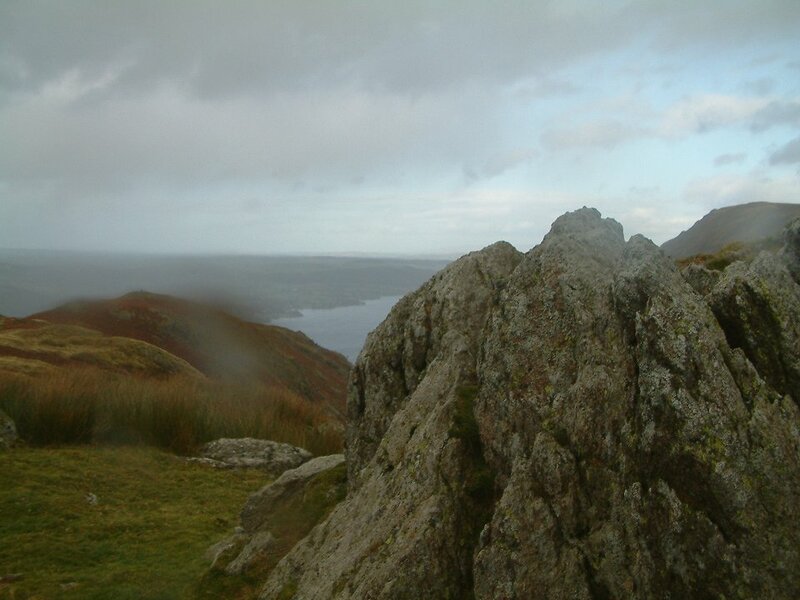 From Bonscale pike the weather took a turn for the worse and it was zip up and head down on the ridge to Wether hill. I took the path down Steel Knotts and only managed to get this picture of Pikeawassa in the driving rain.